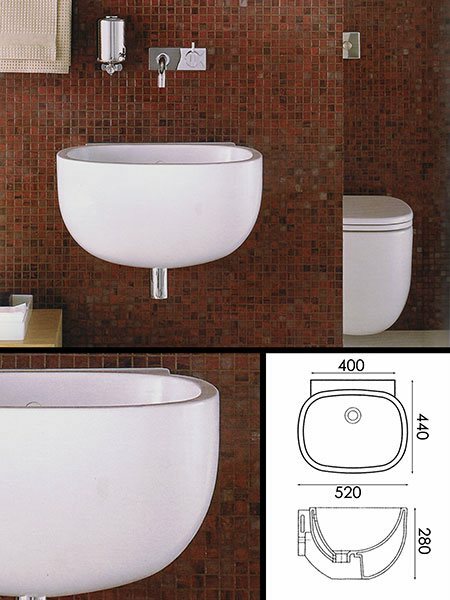 A wall hung bathroom sink by Antonio Citterio is a simple but striking bathroom design. This contemporary wash basin has a small projection of only 520mm and will suit both small and large modern bathrooms. Bathroom taps and the wash basin chrome bottle traps available as options.